When Apple Inc declared its first quarter report it is almost doubled over the previous quarter i.e. 11.6 B USD. These are astonishing numbers in downturn economy, when market is hit with bad news on sale front; Apple is silver lining for market sentiment. This is different type of economy altogether, economy without brick and mortar. The Apple Inc market cap is 600 Billion USD. This is big number. 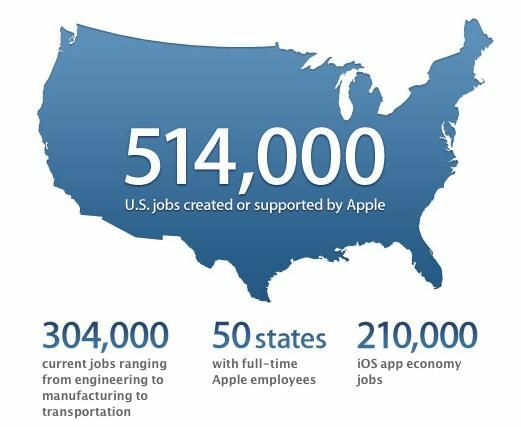 When people started opposing Apples policy of outsourcing production of its smart phones, Apple came out with report, how many jobs it supports in US economy, it is astonishing 511,000 jobs. This is very big number and Apple is numero-uno in its ideas and product development. This not the end of story, there are many more stories to go through. Second of such story is Instagram. It was started in 2010 and just in two years in 2012 it was sold for a billion to Facebook, big money and very big valuation for startup but true. Facebook itself is valued around 100 billion USD it supports more than 187000 direct jobs and 300000 indirect job. 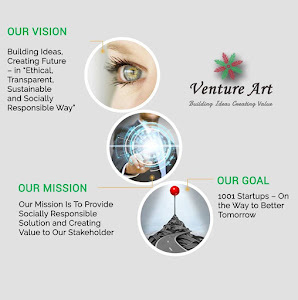 Google another big name with valuation of near to 200 billion USD, is second highest employer in private sector in India. Application economy in US creates more than 500000 jobs and then comes online games i.e Zygna and similar companies. This is all true when penetration of internet is still high only in developed world and it is fast growing in emerging market. With very high growth rate this economy will generate more and more jobs, in India TCS alone employees more than 197000 people and number will grow; TCS is first Indian company to cross 10 billion USD in annual revenue. But Indian IT, ITES and Telecom are biggest employers. IT and ITES including BPO generates more than 2.2 million jobs in India and almost 10.2 million total jobs in the merging economy like India. These numbers are big picture of the future to come. When just in few years Philippine become one of the biggest outsourcing hub and surpassed India in number count. It is employing almost 500000 people, biggest generator of jobs in this decade. TCS is India’s biggest company just followed by Infosys, Wipro, Mahindra Satyam, and many more medium size companies which are competing globally to get business and there are global giants like Google Inc, IBM and Oracle, Microsoft who has big development centers in India supporting the economy. E-commerce even though is at nascent stage is big employer and as it is growing fast this sector will continue to generate big employment in future. Today most jobs are created in sector which is called Information Technology, I am talking of much more than just info but what comes with it as back end and front end and also which cannot be seen, i.e. e-commerce and telecommunication. These all are integrating into just one platform called Information Technology. Another important point is there are no entry barriers into these careers, no age, and no minimum qualification to enter into it. The most successful are university drop out Mr. Bill Gate who changed the industry forever. What are the courses available for those who want a career into the Computers, IT and e-commerce? When I said no entry barriers means really no barriers, shifting of jobs are easy and developing skills and enhancing the skills are equally easy. I will divide the opportunities into different fields. The basic entry point is 10K and 10+2 K; most of the courses for hardware and networking are available after 10th standard of education. These courses are as below. Diploma Engineering in Computer Hardware and Networking – This is 3 years full time course and has good job opportunities after completion in the field of networking and hardware and software installation, maintenance and repairing. This course gives initial launching pad for youngsters who cannot afford many more years of educations and needs earning at earliest. These are private courses available for networking administrators, these certifications can be completed from any Pro-metric Testing Centers or online exams. Usually these courses will take anywhere between 6 months to 36 months depending upon individuals capacity to clear exams. These courses are flexible learning systems. These are the words used in similar meanings or close to similar meaning. These are the starting points for the careers for those who want to start working in early age. These courses are after 10K. Duration of the courses is three years. These courses basically provide basic knowledge of logic mathematics on which programming languages are based. In these courses students learn basic computer skills and fundamental knowledge about programming on low level languages. These are good courses for those who do not want to put long years in education. These are different graduate courses in IT and Computer science field. They are very good opportunities for campus placements. In India when big companies go to campus they are very much choosy in having best candidates. In 2012-2013 TCS India’s biggest IT Company has announced that it will recruit 40,000 new employees. If market is robust and growing then all small and big companies will flock the campuses. Even though IT revolution and internet penetration is low market is picking up. With new initiatives and development this sector will see long term growth prospects and courses will remain in good demands for decades to come. M.Sc. : – in computer science and information technology. When someone wants to go up the ladder then he needs more knowledge and expertise. Expertise is developed with higher education. These are the higher education courses offered in Computer and IT field. MCA is one of the most in demand field. These courses has entrance at each level and getting there may not be easy and straight for these courses because of their demand. Portal is an integrated website which allows user to do multiple tasks on front end. This is portal; website is small front available to world to know about company and services. Portal development is key to success; this is multi task operation where different expertise is required to develop a front end which can serve a specific task. In Career this is very big opportunity. If we look at Amazon is a big portal, every company wants its customer to engage in different ways so they are developing portals. News Papers are portals so are every website for that matter which integrates to multiple functions. Internet penetration is increasing and so is demand for more and more online service. Customers want every bit of their life must be available online so that they can chose what they wants as and when they wants and delivered instantaneous. This increasing internet penetration has given rise to the growth of e commerce. Almost everything is available on sale on internet and it has increased the demands for the professionals who can develop such portals and e commerce sites called e shop. Specific Computer language skills are very much in demand. One of the languages very much in demand is Java and its related activities plays very important role developing career. Java is backbone internet related development, this expertise along with other languages are very important in developing software. C, then comes C++ and then comes Visual C these are the languages of basic standards but still in use apart from this visual Basic and its related languages plays very important role in developing software. Oracle which is data base used as the back end and developer its front end or VB is used in developing the software. Oracle is world’s biggest software and key to global data management. These specialized languages and their expertise brings you different career opportunities close to you and make this world beautiful for hardworking young. Functional experts are those who has specialized knowledge in their field, like banking, finance, medicine, mining etc. They are in demand at two stages while developing specialized software for that industry according to needs of industry. They are also required for implementation customization for big software’s. The ERP (Enterprise resource management), CRM (Customer Relationship Management), and similar software’s need functional expertise for the successful implementation of the software’s. These are big software which needs lot of effort and working before they can be implemented successfully. Implementation is also long road, to pass this difficult road the team needs expertise who knows everything and fine details of industry and how it functions. It is not just simple to implement this software easily. Functional expertise remains in high demands for customization of the needs of every industry and for that matter every company. I am not going to discuss two topics here i.e. Design and Media and Marketing which are in it an independent topics as career opportunities.